I did really like the front cover of this book and the blurb of it. I was… less keen on the start of the story. 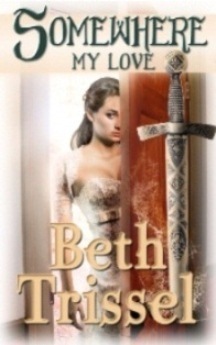 I’m not a fan of the love at first sight thing and that was where this book seemed to be going. I stuck it out, though, and I’m glad I did. It was interesting to read about Julia’s connection to Cole. The concept of reincarnation is quite a fascinating one and I really liked reading about how Julia gradually began to learn more about her history. And even though I wasn’t too sure of the romance at first, it did get a bit more realistic as the book went on. The comparisons with Hamlet were pretty intriguing, too. There were a few too many female characters who seemed obsessed with Will and I did find that a little bit annoying, I have to say. Conflict in relationships is good. Conflict that comes from every other woman of the same age as the heroine wanting to steal her man just makes me roll my eyes. 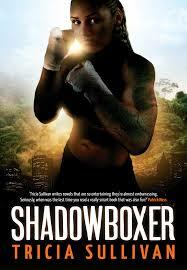 This book was quite a good mix of different genres. The mystery through the book was enough to keep me reading and I really liked the differences and similarities between Cole and Will. I felt that contrast was shown more than between Julia and her previous incarnation. I did figure out the twist quite easily, but it made sense that the main characters didn’t figure things out. It was nice to see that some of the other characters made an appearance in the past, too, but it wasn’t really explained why they all looked exactly the same as in their past lives. I thought it was more interesting to see Will’s journey to remembering the past. Julia accepted things a little too quickly and it was nice to see that there was some skepticism involved. I would definitely like to read the next books in this series. I enjoyed this a lot and it was great to see how everything connected together. This was a really quick and easy read and despite the issues I mentioned earlier, it was still very enjoyable. I felt this book was a really fast, entertaining read. I found myself really empathising with Fin. Although at first he seemed to be making the most of the bad situation with no one being able to remember who he was, I think the author did a good job of showing just how difficult it was for him when the people he would have wanted to remember him didn’t. It was really good to see how both of the storylines met and converged. I really liked Coll as a character, as well as Ardent, even though I found myself getting a bit frustrated by how they kept forgetting Fin, as understandable as that was. I really liked how Fin reacted to the person who did remember him. I could really believe in his friendship with Marrill. I also really liked how different Fin’s world was to Marrill’s. It was quite intriguing how Marrill ended up there and how the Streams converged. The idea of the different parts of the map was quite an intriguing one and I felt it definitely fit in with the world in general. I would have liked a bit more if I’d seen some more of the different types of creatures, though. There wasn’t much information about the different sorts of races/species there are. I did think that Ardent’s character was markedly similar to the old, wise man trope I often see in these kinds of books – the slightly eccentric character with a deeper past than he lets on. There were still things that weren’t revealed by the end of the book, though. The Oracle was a particularly creepy part of this book, I felt. Everyone crying when he showed up/came near an area was genuinely disturbing. It was good to learn more about who he was as the plot of the story went on. 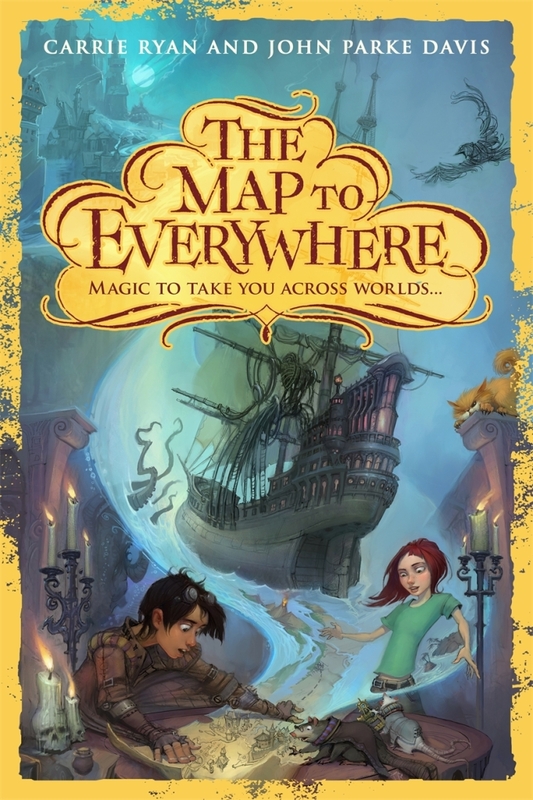 I felt there was a lot of world building that went on in this book and it really showed. There were some things that were recognisable to the world we live in… but so many other things completely different, as the file right at the beginning shows. I think it would be good to read a sequel to this book. There’s a lot more of the story that can be told and there’s quite clearly more that will happen. All in all, though, I did enjoy reading this and I plan to pass it on to my niece to read. This was another film I originally saw when I was quite young and remembered really enjoying it. My sister remembered watching it when she was quite young, too, so we decided to watch it together this evening. 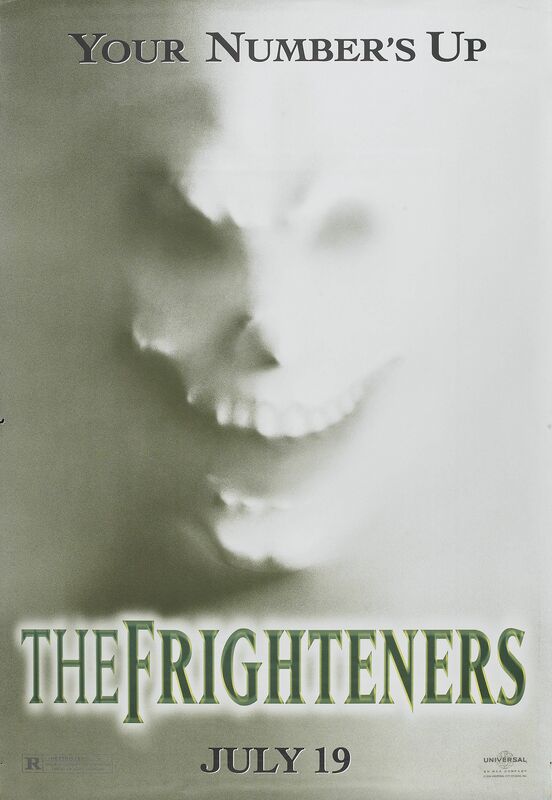 Although this film is clearly quite dated, it’s still quite an entertaining one to watch… but although it starts off as quite lighthearted (with a conman who really can see ghosts), it quickly grows more serious as the film goes on and there are some really scary scenes in this. There’s not a lot that’s very complicated in this film. There’s little explanation for why the bad guys are bad. I can’t remember if I was very surprised by the twists when I originally watched this, but watching it again, I did know what was coming. The appearances of the ghosts was an interesting one, as was the idea of the ectoplasm eventually drying up. I would have liked a bit more explanation about how all of that worked. There were some things in this film that were quite confusing and weird… particularly with the special agent. I couldn’t quite figure out if he was meant to be a good guy or a bad one. It was a bit amusing to see a graveyard policed by its very own ghost that was in charge. This film did seem to be a whole redemption arc for the main character. He might have been a conman, but he was still quite a likable character and his interactions with the ghosts were fairly amusing. The ending to this film was good, but a little bit confusing. Still, this is a film I’d probably be happy to watch again. I don’t think it should be rated as low as a twelve, though. There were some really scary and graphic scenes that I wouldn’t be comfortable letting younger, more sensitive children watch. I’ve seen the previous two films, so when I saw there was a third one coming out, I decided I immediately wanted to see it. And it was really great to see all of the old faces… though quite sad to see Robin Williams, considering he passed away earlier this year. 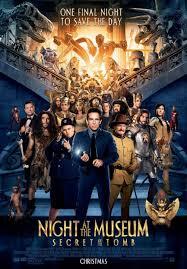 I liked that this film showed the origins of the tablet that brings the things in the museum to life. There were some pretty cool special effects in this film, particularly at the beginning with the constellations. It was cool that this film took us on a trip to London. It was pretty awesome to see the beginning set in Egypt, too. I really liked the family dynamics in this film, with Larry and his son and Ahkmenrah and his parents. It was really cool to see Lancelot in this, though I would have quite liked to see more representations from legends. I have to agree with Octavius, though. He really is quite attractive. There were quite a few amusing moments in this, especially with the monkey, Dexter… but it was good to see that there were some more serious, emotional scenes too. It was also really cool to see Hugh Jackman playing himself, too. (I also have to agree on the Wolverine thing). There were quite a few other actors I recognised in this film, too. It was really entertaining to watch and there were a few times I found myself laughing out loud. Laa was quite amusing, but there were scenes that were quite sweet with him. I think I’d definitely buy this film on DVD at some point in the future. It’s one I’d like to watch again. I have some very mixed feelings about this book. 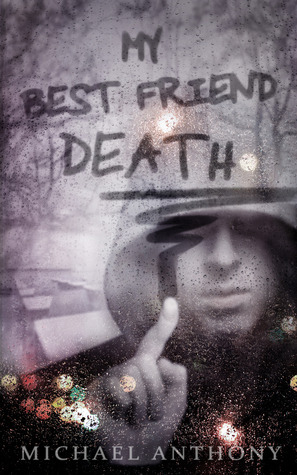 In the end, I’ve given it four stars because, despite how truly depressing this book was, I found myself drawn completely into this storyline and the characters involved. The plotline of this book was a really intriguing one, but it was much darker than I was expecting it to be. The warnings contained in the blurb were definitely not to be taken lightly. By the end of the book, I found myself getting quite choked up. I liked reading about Damien’s friendships that he formed with the other characters in the school. I especially liked Joey as a character, even though he began to decline very quickly through the course of the book. For a lot of the book, I liked Kaiden’s relationship with Damien, though I would have liked to see more of their interactions. I’m not entirely sure how I feel about him by the end of the book… but I kind of hope that he’s still what he seemed at first. And hearing about his past just made me feel really sorry for him as well as many of the other characters. 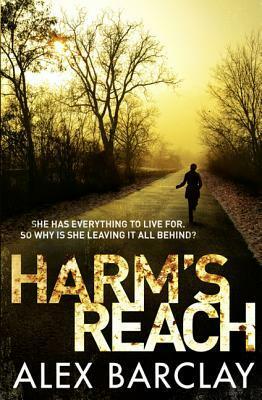 Parts of this book did feel almost like a soap opera, considering just how many bad things happened in this small area. A lot of the situations were linked, though, and it was good to see that there was fallout from what happened and that the characters didn’t just brush off the bad events that happened. There were a number of things in this book that were really quite emotional and that I thought could have been great for character development if they’d gone a different way. It was good that the author didn’t shy away from the harsh reality… but at the same time, I would have liked something that was a little bit more hopeful. If there’s a sequel to this book, I would probably check it out at some point in the future. I’d like to see how things turn out with the characters and it would be nice to see where the author takes this world next. I think it’s become fairly clear that my niece is taking after me in a big way. Shortly before Christmas, she wrote a letter to Santa, asking for scary films. And in her stocking were four of them – and this was one of those. 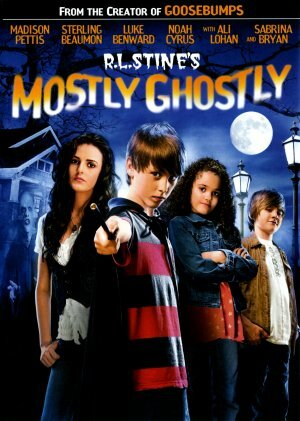 I loved reading (and watching) Goosebumps as a child, so since this was also by R.L. Stine, I was fairly happy to watch when my niece asked me to. Although the acting was a bit over the top in some parts, I still felt that this film was entertaining. I couldn’t get Max as a fake Justin Bieber out of my head, though. (Search Justin Bieber parodies on YouTube). I did feel that the special effects were somewhat lacking in this film. That did work when it came to the ghosts (sometimes simpler can be better), but a lot of the film felt old-fashioned… even though it was set in fairly recent times. There were some quite cool ideas in this film, such as when Tara goes online to search for information on her parents. And it was good to see that they were affected by not having their parents around. There were also some quite amusing moments in this movie… and it was nice to see Max having to deal with problems that children have to, such as older brother/parents and bullying. I was a bit disappointed to see that the film didn’t have a proper ending and more so because the sequel only seems to have one of the original actors in it. I think this is a good film to watch as a family. It’s a kind of ‘safe’ scary, so I wouldn’t watch it with younger children, but with children who don’t mind tame scary films, I would suggest watching it. Although this book wasn’t the first one in this series involving these characters, I still found this really easy to follow and a book that was engaging with characters who were interesting. First of all… on the side of bipolar, I don’t know very much about that disorder. It was good to have some insight into what was going on in Ren’s mind, though, even if what was going through her head was quite scary at times. I did find myself getting a bit lost a couple of times in the amount of theories that were being bandied around. I felt it was really good to see the thought processes during a case, though, and there were quite a few twists and turns in the book. One or two of them might have been a bit far-fetched, but that wasn’t enough to make me completely struggle with my suspension of disbelief. One of the things I really liked about this book was the fact that the author showed Ren’s life outside of the case, too. I got to see some of Ren’s personal life… and as mentioned earlier, I also got to see a lot of how her mind worked. Even with the medication she was taking, I could see a lot of the ups and downs that came from her disorder. It was interesting to see how things connected together, but I did feel a bit that the plot moved a little too fast in places… though I didn’t really feel like it dragged. I did find myself growing a bit amused by some of Ren’s internal comments. She was a character who was easy to empathise with through this book and I liked her close friendship with Janine. I did also like her relationship with Ben… even if I think he was kind of naive about what he was getting himself into. I probably wouldn’t read this book again. It didn’t quite draw me into the plot in the same way a thriller has to in order to make me want to read it again. But it did make me interested in reading other books by this author and involving the same characters. As I recall, I watched this film originally at the cinema, as an Unlimited showing. But I just watched it again with my sister. 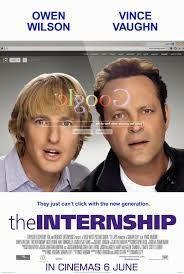 Vince Vaughn and Owen Wilson are both actors I know pretty well and have quite enjoyed them in comedy films before. In this film, they had really great chemistry, both together and when interacting with the other characters in this film. It was really good to see the contrast between the two older salesmen and the rest of the younger interns. Billy and Nick’s lack of internet knowledge made for some really nice comedy moments. But they were also extremely earnest people… and as much as their original interview was amusing, the fact that they were able to think so much out of the box was really cool. There were quite a few actors I recognised in this film and I felt that they played the characters to the extent that suspension of disbelief was easy. There were quite a few, ‘Aww’ moments in this film. It was really good to see the way Billy and Nick attempted to fit in and the way they clashed at first with the rest of the team at first, while gradually forming friendships with the others and all of them learning to work together as a team. There were a lot of cliched moments in this film, but it was still an entertaining, sweet movie. I really enjoyed watching it and if you want something that’s funny because of the characters and their personalities, rather than just rude humour, I would recommend this one as a film to watch. It’s been quite a long time since I last saw Ghostbusters, but although it is meant to be a family-orientated film, there are some quite dodgy parts in this. 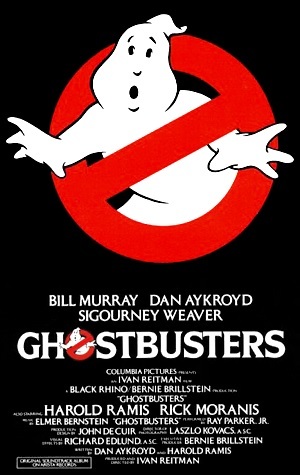 I can’t really call the character played by Bill Murray, Dr. Peter Venkman, a ‘good guy’. From the first scene, it was quite clear that he was a bit of a lech. At the same time, the actor did a good job of playing the character and he was a good source of comedy in this film. It was interesting to see the differences in this film compared to films nowadays, such as the hairstyle of the actresses in this and the special effects that were used. It was quite strange to see Sigourney Weaver so young in this. There were a number of recognisable actors in this film and there were some really good comedy moments. Some of the lines used were cringe-worthy, like when Peter talks to the woman played by Sigourney Weaver, but for a family film, this is quite entertaining… although it does have a couple of adult-themed things. I watched this with my sister and my niece and both of them seemed to enjoy it. For me, it was another way of recapturing my childhood. It was an entertaining way to spend an hour and a half. I quite enjoyed reading this book, even if it did have the fluctuating first person and third person POVs. It was good to see both of the storylines and how they ultimately converged together. Jade was an interesting character and it was good to see that she didn’t turn into a puddle of goo (sometimes literally) when she was around her crush. I think my favourite part was when she went to Thailand. I liked the relationships she formed with the children there and it was also good to see that Jade liked cats. I liked her right from the start, with her reaction to a cat being mistreated. The supernatural elements in this book were pretty intriguing. I particularly liked the concept of the forest and the creatures there were in the forest. It was a pretty unique idea to have the animals take on human form and I felt really sorry for Luck. I would have liked to see a bit more of him. I liked Mya as a character, but I didn’t really know what age she was for a while. I also didn’t realise at first when the storylines were merging together, because Mya wasn’t described at all until the first time Jade saw her. The minor characters were intriguing, but I would have liked to see more of them during the book, particularly the children Jade met in Thailand. I did particularly like Shea as a character and I would have liked to see more of him. I didn’t know much about his past, but I did like how his relationship formed with Jade. I did notice some errors in the writing, but it was good how the dialogue reflected the life of the characters and how they’d grown up. I was pulled easily into the storyline and there were some really intense moments in this. If there’s a sequel to this book, I would definitely read it. I’d also check out other books by this author in the future. This was a really entertaining book that I read pretty quickly. There’s a bit of disjointedness with the two storylines, but they’re still pretty easy to follow.